Context-aware computing is the ability of Services and applications to adapt and react to context changes. Context modelling is a core feature of context-aware computing. 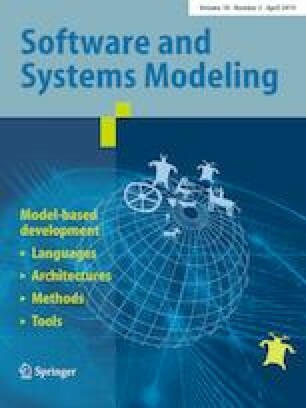 Although a lot of research has been made in the field of context modelling, most of the context-aware computing proposals prefer to design their own customized context model instead of reusing an existing one. The main reason for this behaviour is that current context models present some problems concerning reusability, extensibility and adaptation. To contribute solving these issues, in this paper we present 3LConOnt, a three-level context ontology that can be easily reused, extended and adapted for specific or generic purposes. The proposed context model consolidates the context knowledge already available from a modular perspective yielding a clear schema of knowledge reutilization. To do so, we gathered context knowledge pieces from different ontologies to be integrated into standardized and well-defined levels of abstraction and modules. The proposal has been validated considering: (1) reusability, extensibility and adaptation by instantiating different smart scenarios; (2) consistency and reasoning by triggering queries to the proposed model based on some competence questions; and (3) reusability in existing ontologies by importing the needed module or level of the model. Additionally, we also illustrate its usability in context-aware Services by modelling a context-aware framework architecture for supporting the whole context life cycle: acquisition, modelling, reasoning and distribution. Communicated by Prof. Dragan Milicev. This work is partially supported by the Spanish Project TIN2016-79269-R and the SUPERSEDE Project, funded by the European Union’s Information and Communication Technologies Programme (H2020) Under Grant Agreement No 644018.